I am soooo excited. I just ordered my kitty this week....a black cat LYNX!!! The bad cat will be at my house very soon. If you are interested in finding out more about cutters that will work with Make-the-Cut please check out this hop. Make-the-Cut rocks and if you have never used it you are soooo missing out!! This is an ongoing month long hop so when you get a few minutes click the icon below and go check out the wonderful things that some users of MTC have created....there just might be some candy up for grabs as well. 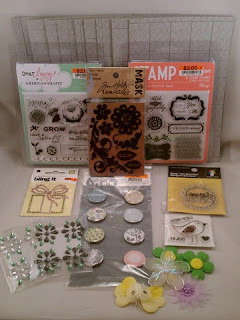 Also, stop by Celeste's blog, Touched by a Butterfly and get in on her giveaway. ﻿She is very talented so you will definitely want to become a follower!! SO jelious(if thats how its spelled LOL) really I want one... 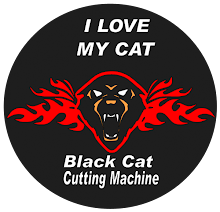 I already have its name...the critter...I came up with that last night...I am lusting over this machine, I can't craft cuz all I think about is how do I get a Black Cat... off to try some more crafting mojo going so I can keep going til I get my new critter... congrates anyway...happy for you!!! Congrats on the new cutter - I'm waiting for mine as well! Congrats on ordering the lynx! I hope that you love it!